The Sun and all eight planets of the solar system are round. Why? The gravitational force of a planet’s mass pulls all of its material toward the center, smoothing out any jarring non-roundness. 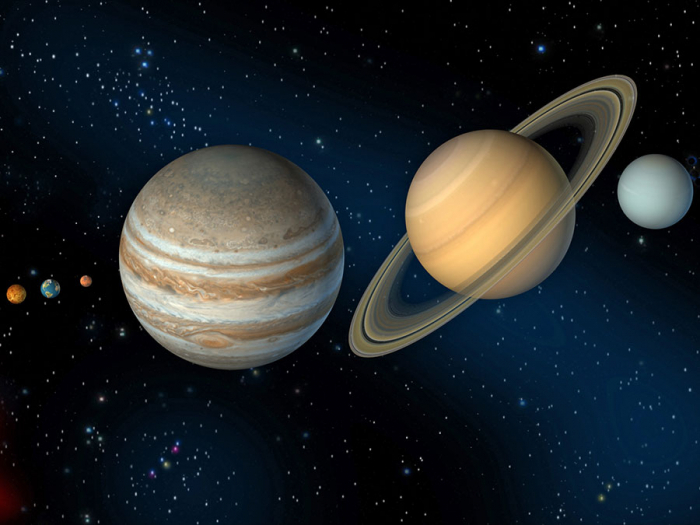 Many of the smaller bodies of the solar system are not round because their gravity is not enough to smooth out their shape. We can see this from the escape velocity of various bodies. To escape Earth’s gravity, you need to travel at about 11 km/second, or about 40,000 km/hour. Such speeds require the largest rockets. Earth has a mass of 6 x 10^24 kg and is quite round. To escape the gravity of Comet 67P, which the European Rosetta and Philae probes visited, you need to travel at about 1 meter/second. You could jump faster than that. Comet 67P is not round at all; it has a mass of 10^13 kg, nearly one trillion times lighter than Earth, and is shaped like a rubber duck. Once a body becomes more than a few hundred kilometers across, it becomes more round than not. In our example, Earth’s diameter is about 12,700 km across; Comet 67P is about 4 km across. Despite its improbability, some scientists have wondered about what a cubical planet would be like. Assuming that the rocky part of the planet would somehow maintain its cubeness, the air and water would not have any such magical property and would pool in the center of each cube side. Life would be confined to the shores of the central lakes, with the cube edges and corners being giant impassable mountains.